Monrad & Helms on KLANG festival! 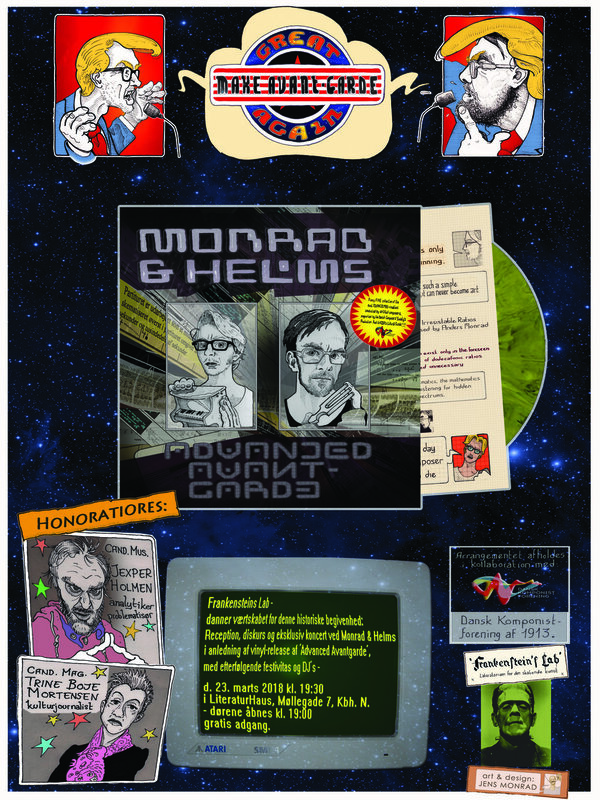 Monrad & Helms "Advanced Avantgarde" Release Party! The Monrad & Helms "Advanced Avantgarde" Vinyl is released Friday 23 of March in LiteraturHaus at Møllegade 2. Academic Analysis by Jexper Holmen, Critical interview by Trine Boje courtesy of Frankensteins Lab & Danish Composers society. Followed by an Exclusive Micro Concert by the celebrated Duo. Please Join!